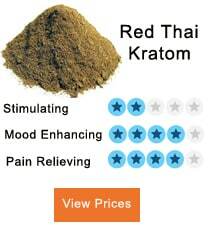 Kratoms have become the alternative drug of choice for very many people. Patients and drug abusers are ditching prescription drugs and narcotic drugs of choice to get on the bandwagon that has left many observers and governments confused. 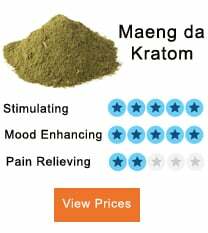 The legality and illegality of surrounding the use of kratoms stem from the effects of the two chemical components found in the leaf of a kratom. 7-hydroxymitragynine (7-HMG) and Mitragynine (MG) are alkaloid compounds which work on the opioid receptors which are charged with countering pain. Anti-kratom crusaders have argued that these two organic compounds imitate the effects of opioids. Opioid are chemical compounds that attach to opioid receptors in the brain to help numb the effects of pain. Opioids are used to make drugs such as codeine and morphine. The abuse of these drugs is known to cause severe cases of addictions and withdrawal in the event their supply of opiates is cut. The abuse of these drugs has caused deaths and accidents which has made people question the legislation of kratoms in the US. According to studies, MG has a very low tendency of causing addiction and abuse. Furthermore, MG can assist in lowering morphine dependency. However, 7-HMG has chemical components which encourage abuse of kratoms and other opiate drugs by drug addicts. In layman’s language, kratoms may possess addiction effects, but it does not have adverse effects like seen in other opiate-based drugs such as morphine and heroin, Moreover, it does not encourage addiction and withdrawals. Therefore, kratoms ought to be considered a non-narcotic type of drug. However, the choice to classify it a non-narcotic or narcotic drug belongs to the user of a drug. But federal and state governments have come out to add their voice to the raging debate concerning the use of kratoms. The federal government to some extent has come out to support the use of kratoms due to their popularity and their ability to discourage the use of other drugs. However, state governments are having none of that, and every state government is instituting legislation to govern the use of kratom and its by-products. Illinois is among the states that have kept an open mind in regulating the use of kratoms within its state borders. Illinois neighbors have put up stringent measures to counter this drug either by limiting the standard amount of kratoms to be sold while some drugs some have outlawed the use of the drug altogether. States such as Ohio, Colorado, Wisconsin `have the banned the use of kratom in all its counties. Despite the pressure to outlaw the use of kratoms in Illinois, the coercion from the other states has not yielded any positive results in outlawing trade and consumption of kratom in the state. However, there are jurisdictions within Illinois that have made any association with kratoms illegal. Jerseyville has made the use of kratoms illegal. The law is even more stringent on dealerships that are selling the drugs to minors. The greater state of Chicago has laws to oversee the lawful age that can use kratoms. Since the year 2014, the Illinois law HB 5526 has been in place to regulate the legal age threshold that qualifies to consume kratoms. The law stipulates that people below the age of 18 years are prohibited from using kratoms. There are punitive measures that have been put in place to punish this act. Those found to selling kratoms or its byproducts to underage children, run the risk of being fined or their business being closed. However, the law does not prohibit people past this age threshold from using kratoms and its constituent products such as the capsule and powdered kratom. Illinois boasts some of the best kratom shops and dealerships in the country. The high numbers of kratoms establishments have been enabled by the friendly laws governing the use of kratoms in Illinois. The favorable laws have helped portray headshops and kratom dealerships like any other legal business entities. 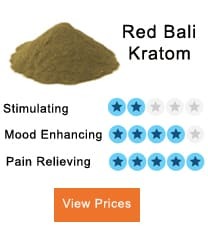 The legal status of kratoms in Illinois has increased the flow of cash into kratom businesses which has promoted the establishment of many brick and mortar headshops as well as online kratom stores. 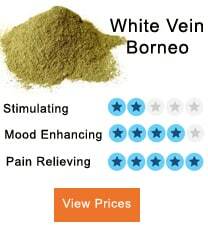 Online kratom stores have changed the kratom business landscape. 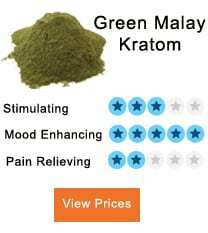 The online shops offer more variety of kratoms for very low charges. Furthermore, delivery services are fast and reliable in dispensing services. It takes always take a maximum of one day for an order to be delivered to wherever the location the order had been made from. The legal status of using kratoms in Illinois has led to the establishment of several headshops which are trying to eat into the kratom frenzy. Hence, a high concentration of headshops in Illinois has encouraged coming up of frauds and conmen who are selling poor quality kratoms to unsuspecting customers. It offers all kinds and strains of kratoms. Most importantly, it adheres to the age cap law and does not sell kratoms to minors. The products sold at this dealership are well packed and tagged to help the clients choose. 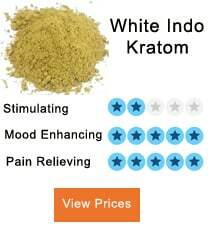 The store has a wide variety of quality products ranging from pills to powdered kratoms and whole kratoms. Combines quality products and accessibility to cut it against its competitors. It has an advanced online store that is detailed and user-friendly. Kratoms are a healthy substitute for hard drugs. It has helped in the reduction of cases of drug abuse and the health effects of using narcotic drugs. And there is no place to feel the thrill of using kratoms like Illinois. In Illinois, one does not have to worry about the legal implications of using kratoms.